Nice, friendly stuff. Interesting location with siple Dheli life. If you want to see simple Dheli people life. 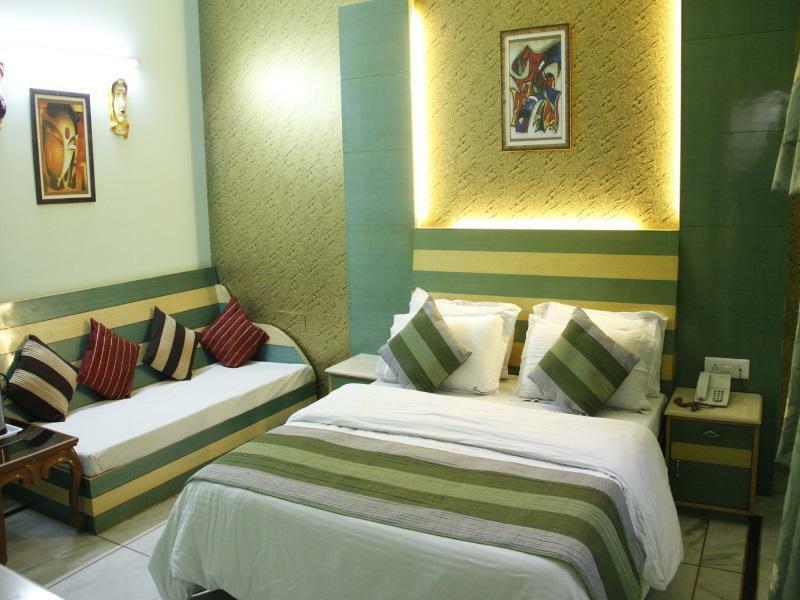 You can stay at this hotel situated near market and shops. At the reception they told us that they would give us their best room. If that was the best room we don't want to know their normal rooms. It was dirty, loud, parts of the wall were broken, the refrigerator was dirty, we got a shock from our camera while charging it. The reception staff was bad, no customer service. The breakfast was ok.
cheap and cheerful hotel. staff more than helpful regarding where to go for sightseeing eating etc. can't realy fault this place for the money you pay. good sized room/en-suite. even though in old part of delhi for 80-rupees grab a tuk-tuk and soon at shopping/eating areas. OK type hotel in this budget, but good it was in city so easy to walk into any where. Rooms are sizeable, but in state of disrepair. Sheets weren't clean. good budget hotel. clean rooms and friendly stuff. location is good middle of big market place in karol bagh, near old delhi. rooms are clean but little bit noisy. they have lcd-tv in rooms and hot water 24h. i recommed this hotel. the staff is friendly and restaurant is always availaible. The hotel is below the western standard, that is rooms are not clean, not well conditioned on winter time etc, etc. All the pictures on the web site are very old, so they do not represent the true condition of the hotel. 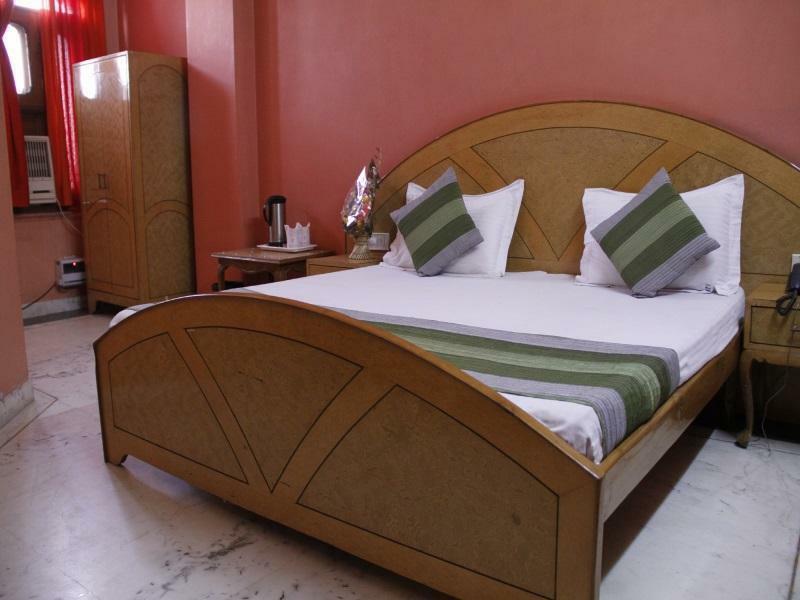 I found a good price through agoda and stayed there for 4 nights in total. It is about 15 minutes walk from the subway, and it might be difficult for you to find your way around if it is your first time in the area. It's a convenient location after all. The hotel is clean in the Indian context, don't have too much expectation and I suggest that you pay a bit more for a better room. The food is very good, and hotel staff are always helpful. The only thing I would add is watch out for the travel agency that the staff recommends. You can find cheaper price at the government agencies if you can find one. We enjoyed our stay at Hotel Blue Sapphire even though it is somewhat out of the way. The staff were friendly and helpful! And we have a big and nice room, which made our stay a restful one. 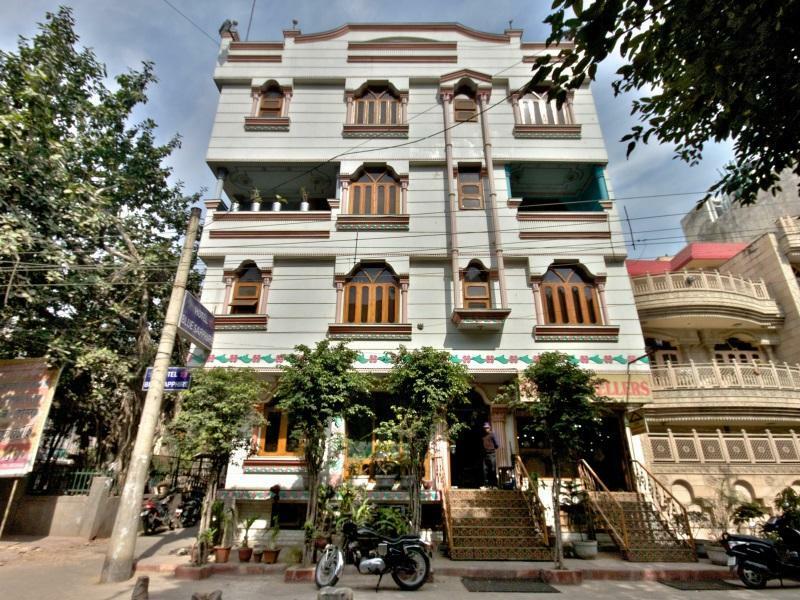 Although the location is not very ideal, it is very near to the Karol Bagh bazaar, and takes about 30 mins' walk to the nearest metro station (Karol Bagh). 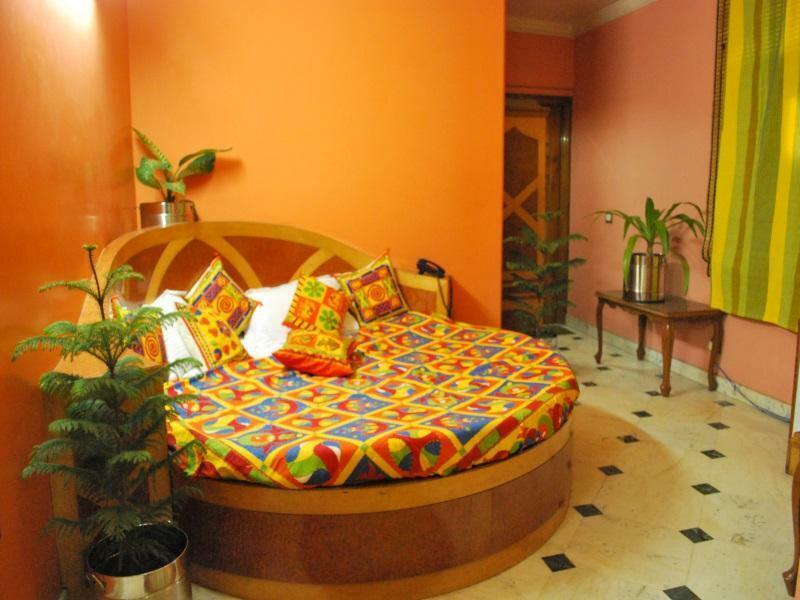 We would highly recommend this hotel for a nice but budget stay in Delhi where accommodation is costly. location is within walking distance in karol bargh from money changers, market, restaurants you name it everything is there. after a tired journey from malaysia we were warmly welcomed by who is fluent in english. after complimentary drinks and shower mr bobby helped us to plan our golden triangle tour.i really appreciate the driver mr rajiv who is fluent in english and ever ready to serve his passengers. prompt service by the hotel staff and the cleanliness is a plus point. will choose to stay there during my next visit. Vi stannade bara en natt, men allt fungerade som det skulle. WC-papper fanns inte i rummet, men man skulle säkert ha fått om man bett om det. Snyggt och rent rum, inte särskilt stort men smakfullt inrett. Safety-boxen gick inte att öppna. TV med en massa kanaler och skarp bild. Varmt vatten. Dator med Internet nere i restaurangen för 50 rps/h. Vi måste lämna hotellet tidigt på morgonen, så vi fick rostbröd och te upphämtat på rummet. Restaurangen ok. Receptionen ordnade taxi åt oss. Rätt fåordig service. Beställde ett rum för tre personer. Rummet vi fick hade två sängar och min fullvuxna dotter fick sova på en madrass på golvet. Bytte hotell efter en natt trots att jag betalat för tre nätter. Arrogant/slö personal. Första rummet var inte bra,kunnde inte stänga fönstret.Det var en kall natt,blev förskylda.Bytte rum nästa dag,som var mycket bättre.Här finns det många i personalen,men alla är väldigt lata.Metron ligger långt från hotelet,inget vidare område. De kamers zijn naar Europese begrippen matig, slecht onderhouden en niet goed afgewerkt. De lokatie is ok, vlakbij een enorme markt, maar ver van alle bezienswaardigheden. Het grootste minpunt is dat bijna geen rickshawdriver het hotel weet te vinden, verschillende keren verkeerd gedropt. สถานีรถไฟใต้ดิน Karol Bagh - ระยะ 1.04 กม.